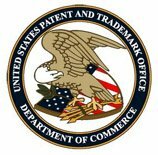 The USPTO is seeking comments on a proposed revision to the standard protective order that is automatically applicable in TTAB inter partes proceedings. See Rule 2.116(g). The current version may be found here. The proposed revised order is here. Comments and suggestions regarding the proposed changes may be submitted here. which in this writer's opinion was rather useless and seldom invoked.